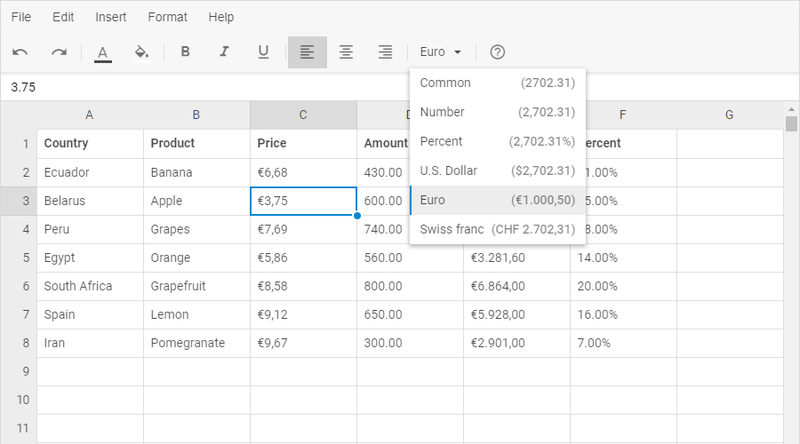 The current update enables end users to import Excel data into a web spreadsheet component as well as export data from Spreadsheet to Excel. The export and import operations became possible due to our two new WebAssembly-based libraries Excel2Json and Json2Excel. These libraries were developed by our team as open-source tools for converting Excel files into the JSON format and vice versa. They make use of the Rust programming language and WebAssembly. 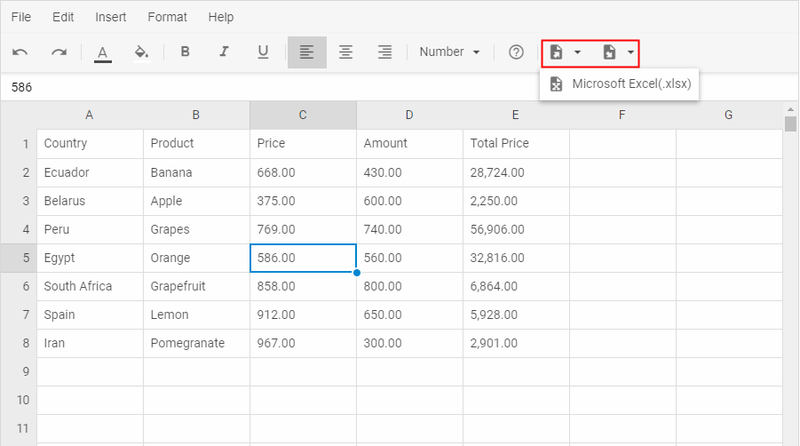 Read a detailed instruction on the import of data to Excel and export of data to Excel in the documentation. 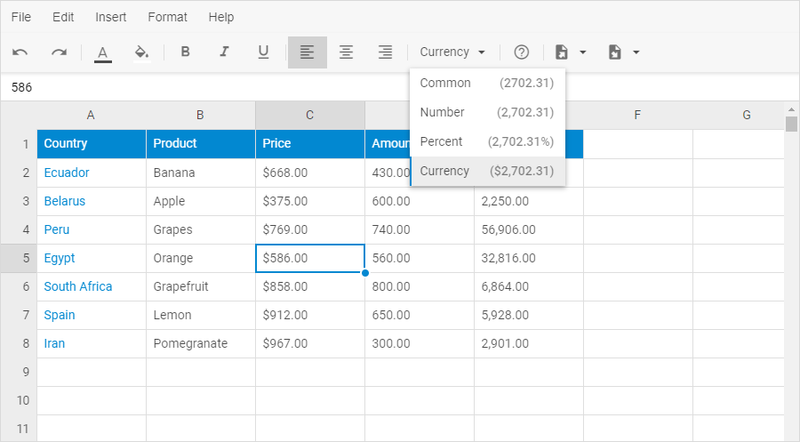 V3.1 comes out with an ability to set different formats for numeric values in cells. Spreadsheet default number formats are common (“”), currency (“$#,##0.00”), number (“#,##0.00”), and percent (“#,##0.00%”). By the way, our Spreadsheet component automatically detects the format of content in cells due to the autoFormat configuration option enabled by default. However, you are free to disable it if you want. So the next step is to download dhtmlxSpreadsheet 3.1 free trial version and test all the new features yourself! Current clients are invited to download the latest version in their Client’s Area.